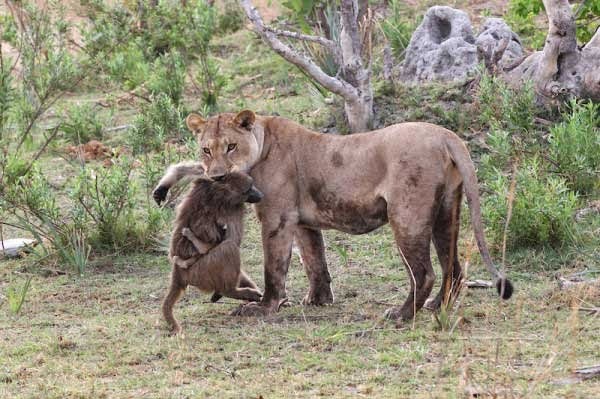 This couple was on a game drive in the northern Botswana's Selinda area when they experienced something amazing. 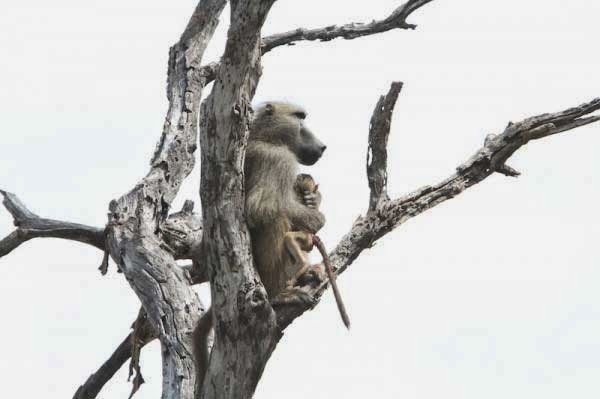 They were taking photographs when a big troop of baboons came charging through the bush. 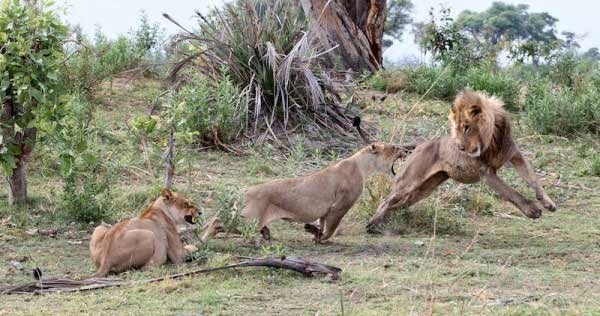 Two lionesses were nearby, and what happened next stunned the photographers. This behavioral twist was stunning, but that wasn't even the most amazing part. 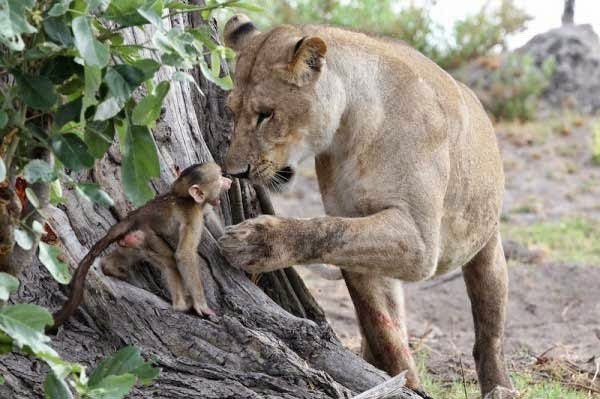 That's when the baby baboon's father dashed in. 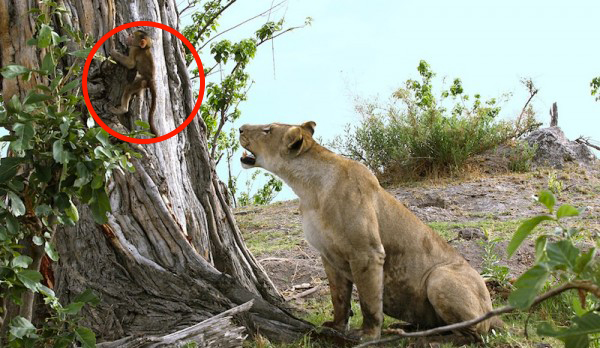 He was waiting in a nearby tree, hoping to rescue his baby. 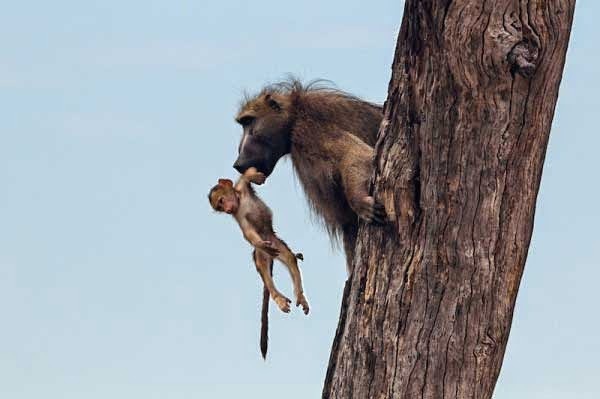 The father baboon's heroism paid off. 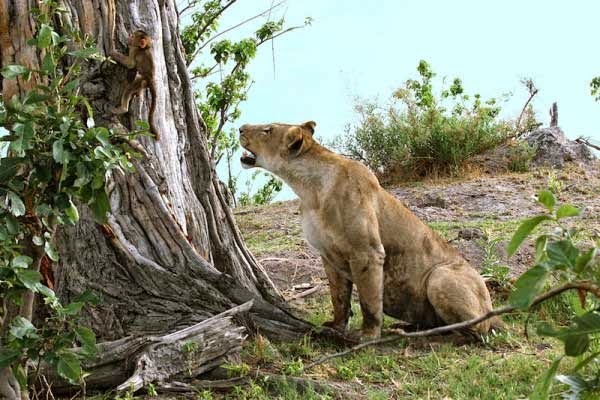 Once he bravely saved his baby, he made his way over to a shade tree and the rest of his troop. 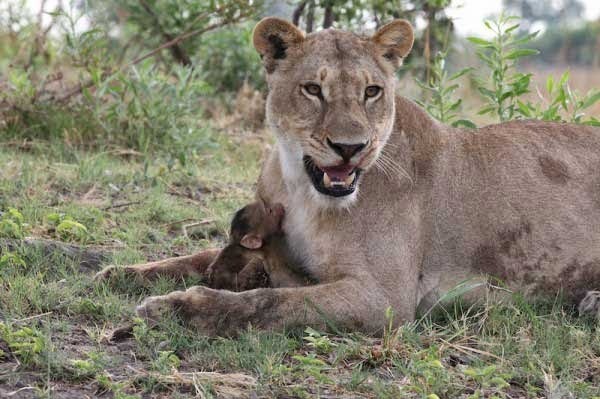 After a time, the photographers saw that he baby was safely nestled in his father's arms, resting. 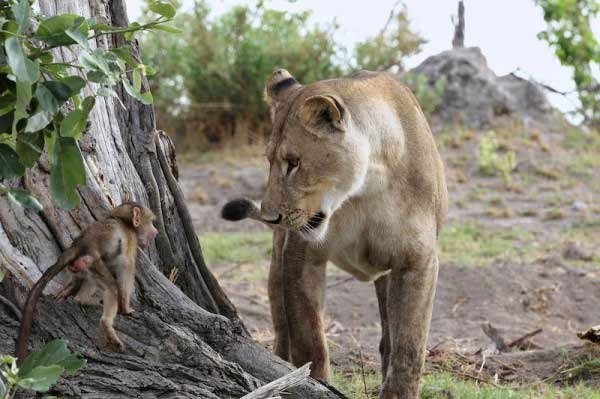 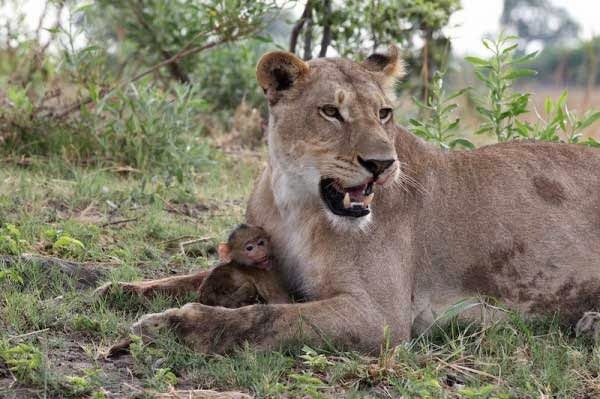 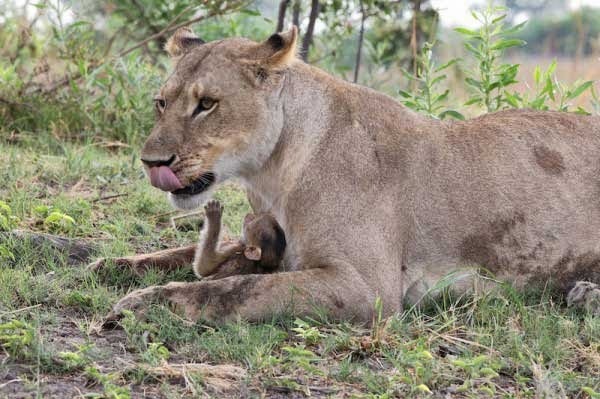 It's hard to say what's more impressive: the lionesses gentle decision to protect the baby baboon or his father's incredible bravery and rescue mission.